Indian Army invites applications from married/unmarried male and female engineering candidates for the courses commencing on October 2017 at OTA, Chennai. The entries are direct entries i.e. the board does not hold any exams to get the SSB call. The candidates will be shortlisted on the basis of their academic performance in their respective graduation degrees. All the three entries are for Short Service Commission and have certain eligibility criteria. Short Service Commission Tech is the entry for all engineering graduates. The entry is again for both men and women. The application form will be available from 23rd Jan to 22 Feb 2017. Indian Navy Is Getting So High-Tech, Your JEE Mains Rank Can Let You Join As Officer! 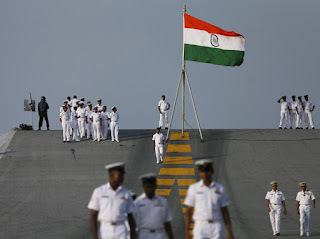 With an eye on recruiting officers who have the technical capabilities of handling and managing its hi-tech overhaul, the Indian Navy will shortlist candidates under one scheme using their performances in the Joint Entrance Exam (Main). Aspiring candidates for the 10+2 B Tech cadet entry scheme will now have to take the JEE (Main) in 2017 to be eligible for entry to the January 2018 course at the Indian Naval Academy. About 120 candidates will be shortlisted based on their JEE (Main) scores to appear before the Services Selection Board (SSB) for interviews. The 10+2 B Tech cadet entry scheme will no longer use the candidate's scores in Physics, Maths and Chemistry (PCM) in the Class XII exams. 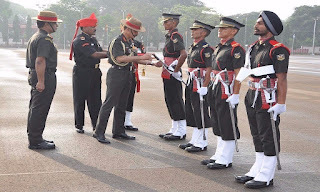 As TOI reported earlier, the first direct-entry batch of BTech officers graduated from the INA in May 2013. The JEE scores have been chosen as a benchmark to negate the uneven nature of scoring systems adopted by various state examination boards.